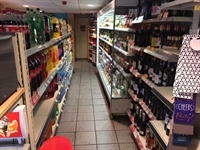 A fantastic opportunity to purchase for the first time since 2001 a high turnover superbly located convenience store trading as Spar Store with national lottery wines & spirits in a small parade and opposite a very popular public house in rural Solihull. 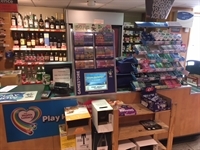 The gross takings are around £637,000 per year with a gross profit yield in the region of 25% plus income from lottery paypoint and an ATM machine. The premise comprises ground floor sales area 92.9sq.m (1,000sq.ft) approximately with rear stock room WC and office. There is separate access to the first floor with hallway with WC and boiler room fully fitted kitchen 2 x double bedrooms and lounge all with gas fired central heating. Outside large rear garden with garage/office and large lawned area vehicle access with parking space and to the front forecourt and side parking space. 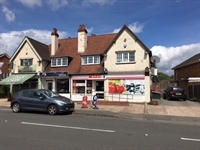 The property is secured on a lease with a rent of £8,000 per year. Hours 6.00am to 9.00pm Monday to Friday and 7.00am to 9.00pm Saturday and Sunday. Fabulous location great opportunity. The premise comprises ground floor sales area 92.9sq.m (1,000sq.ft) approximately with rear stock room WC and office. There is separate access to the first floor with hallway with WC and boiler room fully fitted kitchen 2 x double bedrooms and lounge all with gas fired central heating. Outside large rear garden with garage/office and large lawned area vehicle access with parking space and to the front forecourt and side parking space.